Most of us, at one time or another in our lives, have looked up at the stars and planets twinkling in the night skies and wondered about the effects they may have on our daily lives. Indeed, for thousands of years, people have connected the dots between stars and have created diagrams and patterns which are now known as constellations. Mystics, soothsayers, witches, fortune tellers, astrologers, and the like from both eastern and western cultures have long believed that the stars and planets influence the way that we humble humans – and the animals – live our daily lives on Mother Earth. 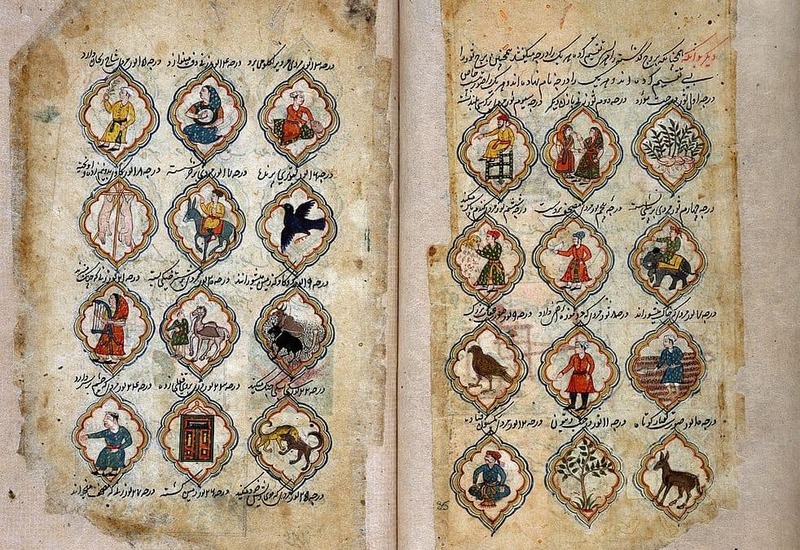 In the west, most people tend to follow horoscopes and star charts that adhere to the Greek/ Roman zodiac which is divided into 12 different signs, each one being approximately one month in length. The word “Zodiac” is taken from the ancient Greek, with “Zoe” meaning life and “diakos” meaning wheel. This “Wheel of Life” applies to animals as well as us humans, and it is believed to have its origins way back in Egyptian and Babylonian times. The elliptical belt of visible stars, which are spread evenly across the night sky, is divided into 12 constellations, which are the 12 signs of the zodiac, each one represented by a diagram of the constellation as well as a symbol or image. These zodiac signs are divided into the four elements; earth, (hard-working and goal- achieving) air, (creation and unity), fire,(expressive of self, fearless), and water, (self-reflective, fluid, emotional and sensitive. So each zodiac sign – along with the characteristics and the elements associated with each sign – provide a vast wealth of creative and unique material when it comes to inking something connected to your sign, onto your body. In this blog, ALL DAY Tattoo has compiled a list of some of the most common meanings associated with each star sign; along with some suggestions on the kind of designs or images that may appeal to you for your astrologically influenced tattoo. Aries, the Ram (March 21- April 19). Aires is a fire element which has a bold, trailblazing Aires people make good leaders, and they can be outgoing, idealistic, inspirational, active, and courageous. On the negative side, they can also be selfish, overbearing, impatient, sarcastic, and jealous. Apart from the obvious ram tattoo, another idea to ink is a bee or something associated with fire. Things specifically associated with Aries are: a tat on their head, the color red, the metal iron, the flower is a buttercup, the gemstone is a sapphire or diamond, and the food is tomatoes. Other tattoos that this sign tend to favor are a cat, an arrow, or the horns of a ram. Taurus, the Bull (April 20- May 20). Taurus is an earth element and they like to indulge themselves and enjoy the finer things of life. A palm tree indicates reward and pleasure, and a heart on a Taurus neck brings out their romantic and sentimental side. They tend to work well with money and they love to eat. They can keep their tempers well, but when aroused, beware. Sincerity, productivity, loyalty are typical assets. They can also be practical, slow, overbearing, violent and possessive. Things specifically associated with Taurus that may inspire a tattoo are: a tat on the neck, the color orange, the metal copper, the flower is a daisy, the gemstone is amethyst or emerald, and the food is celery. Other tattoos that work well with Taurus are flowers trees and animals. Gemini, the Twins (May 21- June 20). Gemini is an air element, and the symbol is human twins. Geminis are liable to fly off at any time and as such, birds, wings and feathers are ideal for this sign. Geminis are curious and adaptable and they love to travel. They are also intellectual, alert, versatile, and instinctive, as well as restless, impatient, unstable, and difficult. Things specifically associated with Gemini and may inspire a tattoo are: a tat on their shoulders and arms, the color orange, the metal mercury, the flower is Lily-of-the-Valley, the gemstone emerald or pearl, and the food is cauliflower. Another tattoo that is popular with Gemini is simple black bands around an arm or a leg. Cancer, the crab (June 21- July 22). Cancer is a water element and the symbol is a crab or a crayfish. Cancers are family and marriage types and are often noted for their collecting habits. They are romantic, emotional and family-oriented, but can be timid, stubborn and moody. Things specifically associated with Cancer that may inspire a tattoo are: a tat on the chest, the color orange-yellow, the metal silver, the flower is moon flower, the gemstone aquamarine or ruby, and the food is watercress or milk. Other suggested tattoos for this sign are an anchor, a heart or the name of someone near and dear. Leo, the Lion (July 23 thru August 22). Leo is a fire element and the symbol is a lion. Leos are the most dominant and extrovert of all the signs, and they can also be generous, warm-hearted and free; creative and enthusiastic; broad-minded and expansive, faithful and loving. Their weaknesses are pomposity, patronizing, bossy, interfering, dogmatic and intolerant. Things specifically associated with Leo and may inspire a tattoo are: a tat on the heart or spine, the color yellow, the metal gold, the flower is marigold, the gemstone ruby or sardonyx, and the food is oranges, plums, and peas. Drawings or images of a lion or lion’s head are very popular amongst Leos, along with the astrological sign for Leo which can be tattooed almost anywhere on the body. Virgo, the Virgin (August 23- September 23). Virgo is an earth element and the symbol of the Virgo is a virtuous maiden. Virgos are balanced and they usually live balanced lives with good decision-making abilities. They tend to be intelligent, alert, graceful and perfectionists, but can also be nervous, timid, anxious and timid. Things that specifically associated with Virgo and may inspire a tattoo are: a tat on the abdomen, the color yellow-green, the metal mercury, the flower is Azalea, the gemstone sapphire, and the food is lemons. Other tattoos that this sign tend to favor are date tattoos on the upper back/neck. Geometric tattoos with lots of intricate lines and carefully selected quotes with beautiful script would also work well with this sign. Libra, the scales (September 24- October 22). Libra is an air element and the symbol of Virgo is the scales. As to be expected, Libras like balance in their lives and like to do things correctly. They are orderly, peaceful, gentle, helpful, and spiritual but are also lazy, dependent on others, and often disorganized. Things that specifically associated with Libra and may inspire a tattoo are: a tat on the lower back, the color green, the metal copper, the flower is violet, the gemstone diamond or opal, and the food is strawberries. Scorpio, the Scorpion (October 23- November 21). Scorpio is a water element and the symbol of Scorpio is the Scorpion, but it has also been an eagle. Scorpios are good decision-makers, have good memories and are known to be good with money. They are also determined, confident, emotional, and inspirational, and their weaknesses are that they can sometimes be cruel, sarcastic, secretive, and selfish. Things that specifically associated with Scorpio and may inspire a tattoo are: a tat on the lower abdomen, the color green-blue, the metal iron, the flower is honeysuckle, the gemstone topaz, and the food is prunes. Another tattoo that works well with this sign is a geometric fox, maybe on the wrist. Sagittarius, the Archer (November 22- December 21). Sagittarius is a fire element and the symbol of Sagittarius is the archer. Sagittarius are peace-lovers and are active, travelers, sociable, independent, honest, loyal, and enthusiastic. Their weaknesses are overconfidence, self-indulgence, and a tendency to conceit. Things that specifically associated with Sagittarius and may inspire a tattoo are: a tat on the thighs and hips, the color light blue, the metal tin, the flower is goldenrod, the gemstone turquoise, and the food are cucumbers and asparagus. Tattoos that work well with this sign are script tatts across the chest or stomach. Capricorn, the goat, (December 22 – January 19). Capricorn is an earth element and the symbol is the goat. Capricorns are well grounded, determined, hardworking, and dedicated to achieving their goals. They are also ambitious, outgoing, dependable, honest, patient, and trustworthy. They are also fearful, selfish, suspicious, and secretive. Things that specifically associated with Capricorn and may inspire a tattoo are: a tat on the knees, the color deep blue, the metal lead, the flower is poppy, the gemstone garnet, and the food is cabbage and kale. Other tattoos that Capricorns favor are a goat’s head on the back, a series of stars in the constellation of Capricorn on the shoulder, arms or leg, and small, perfect designs such as a single anchor on a finger. Aquarius, the water bearer, (January 20 – February 18). Aquarius is an air element and the symbol is a man pouring water into an urn. Aquarius are humanitarians and they like to help others. They are artistic, creative, independent, friendly, and wise and on the negative side, they can be perverse, erratic, emotional, and overly sensitive. Things that specifically associated with Aquarius and may inspire a tattoo are: a tat on the ankles and shins, the color blue-violet, the metal lead, the flower is a tulip, the gemstone jade or amethyst, and the food is pomegranates. Another tattoo that works well with this sign is: Avant Guard flowers and bones on a thigh. Pisces, the fish (February 19- March 20). Aquarius is a water element and the symbol is two connected fish. Pisces are gentle and dreamers – romantics. They have two-sided thoughts and are indecisive but are open minded, peaceful, emotional, artistic, imaginative, poetic, and kind. They can also be insecure, weak, unstable, and restless. Things that are specifically associated with Pisces and may inspire a tattoo are: a tat on the feet, the color violet, the metal tin, the flower is violet, the gemstone pearl, jasper, or bloodstone, and the foods are raisins dates or cereals. Other tattoos that are popular with Pisces are: unicorns, butterflies, whimsical hand-poked designs, or a wing across the upper arm. Whatever your star sign may be, if you want to reflect it on your body, you could do a lot worse than come to ALL DAY Tattoo studio in Bangkok. Here, you will receive absolutely free advice and suggestions from our internationally renowned team of tattoo artists. Maybe you already have an idea that you would like us to develop further or maybe you are waiting to be inspired. Either way, we at ALL DAY Tattoo will be delighted to discuss your star sign tattoos with you. Just click the button below and we will arrange an obligation-free consultation and show you the amazing possibilities in this modern world of zodiac oriented tattoos.